Charlotte County is experiencing a remarkable run of success in economic development. You can see proof in every corner of our community. At Babcock Ranch, homeowners are enjoying life in America’s first community fully powered by the sun. At Murdock Village, development continues for a spectacular sports and entertainment complex. Western Michigan University’s College of Aviation, one of the top three programs in the nation, has moved into its Florida home at Interstate Airport Park. They’ll be corporate neighbors of MetalCraft Marine, a North American leader in jet engine powered first responder boats. At the same time, it’s rewarding to receive recognition from outside experts. In recent months, Charlotte County EDO received awards from three prestigious economic development organizations. The International Economic Development Council (IEDC) is the world’s largest membership organization serving the economic development profession. 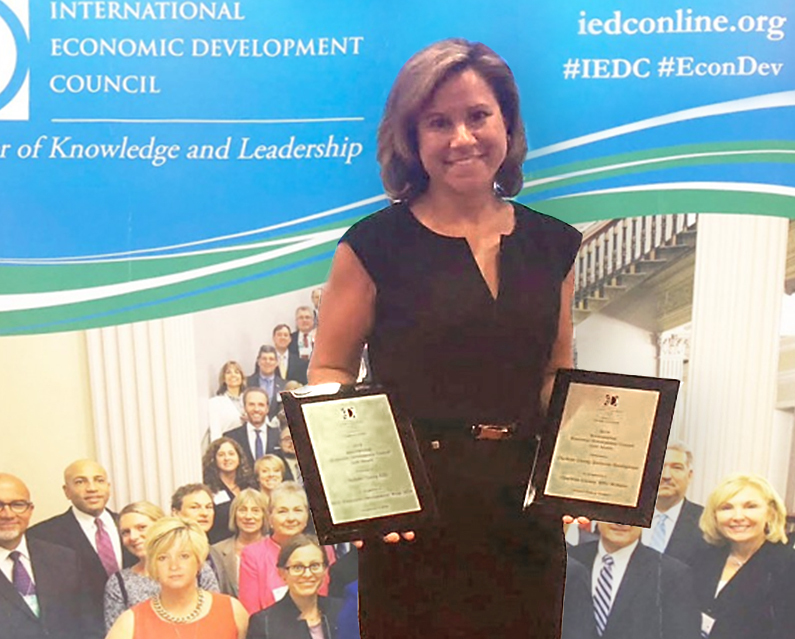 IEDC’s Excellence in Economic Development Awards recognize the world’s best economic development programs, partnerships, marketing communications, and leadership. Recipients of Excellence in Economic Development Awards demonstrate that “they are at the forefront of the economic development profession.” This year in Atlanta, a total of 34 awards were bestowed for work that “created positive change in urban, suburban, and rural communities.” Charlotte County’s Economic Development Office was honored with two Gold Awards from the IEDC for their innovative website (see it at www.Cleared4Takeoff.com) and a digital media campaign promoting Economic Development Week. Last May, the EDO took home two of twelve awards given at the annual Florida Economic Development Council (FEDC) conference on Sanibel Island. FEDC represents 500+ members across 67 counties and 400+ cities in Florida. Two Promotional, Marketing and Innovation Awards honored the EDO’s multi-media advertising campaign and an innovative video brochure. In July, at the Southern Economic Development Council (SEDC) annual conference in Mobile, Alabama, the SEDC also honored the video brochure and an advertising campaign in Expansion Solutions magazine. Two other awards deserve brief recognition. First, Charlotte County’s economic development director, Lucienne Pears, completed her second consecutive year as of the “Top 50 Economic Development Directors in North America.” Second, Governor Rick Scott announced an $800,000 grant from the Florida Job Growth Fund to help complete the $8 million Piper Road Extension Projects. It’s designed to drive growth near Punta Gorda Interstate Airport Park and create more than 1,400 new jobs. The grant was one of only six awarded from more than 250 state applicants. It all adds up to great awards and outstanding achievements for our community … let’s keep it going!